Every North Myrtle Beach vacation rental at North Beach Villas has a view of the beautiful Atlantic Ocean. Book your North Myrtle Beach vacation today and enjoy sea breezes and salt air soon. North Beach Villas is a North Myrtle Beach resort in the Cherry Grove section of North Myrtle Beach, South Carolina. Located near 57th Avenue North, this North Myrtle Beach resort is on the second row but offers guests ocean views. North Beach Villas is only three levels of North Myrtle Beach condominiums. This intimate setting features a sparkling blue swimming pool for you to enjoy during your North Myrtle Beach vacation. There is also a grill area near the swimming pool so you can have a cookout during your North Myrtle Beach vacation. Your family is going to love this beach vacation. There is convenient parking in front of this North Myrtle Beach resort and then centrally located at this building is an elevator and two stairways. You will be in your private and comfortable North Myrtle Beach condo rental in no time when you stay at North Beach Villas. Choose a North Myrtle Beach rental that will best meet the needs of your family’s North Myrtle Beach vacation. The two-bedroom North Myrtle Beach condominium rentals at North Beach Villas have two baths for your family’s convenience. These condos in North Myrtle Beach, South Carolina are furnished to sleep six people. Walk inside these North Myrtle Beach rentals and you will discover a fully furnished kitchen. There are full-size appliances in the kitchen of these North Myrtle Beach condominiums. There is even a dishwasher so you can quickly clean up after preparing a hot breakfast for the kids. Make yourself a fresh pot of coffee and enjoy your first cup while sitting on the ocean view balcony at this North Myrtle Beach resort. It is quite easy to relax during your North Myrtle Beach vacation at North Beach Villas when you sit down on your private balcony. Watch the sun come up early in the morning and watch the stars come out in the evening. Listen carefully and you just might hear the sound of waves crashing ashore when you vacation at North Beach Villas. 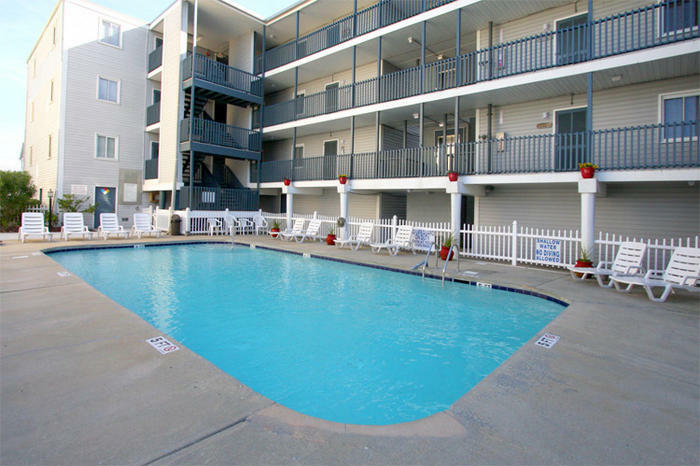 Additional amenities in these North Myrtle Beach rentals are plentiful. There is a washing machine and a clothes dryer for your use. Having a washer/dryer unit at your fingertips in the privacy of your own North Myrtle Beach vacation rental is so nice. You won’t be tied to the laundry room when you can put in a load and go off to play. Elliott Beach Rentals is not affiliated with onsite management or the HOA of North Beach Villas.